Two close friends of mine are getting married this fall and are asking their friends to contribute to the celebrations. When asked to knit the chuppah for their ceremony, I was honored and thought it was the best project they could have requested of me. I scoured Ravelry for the perfect pattern. The most popular chuppah pattern seems to be Kat Coyle, which has been done beautifully many times. The pattern wasn’t quite right for the couple, too lacy, I think. Then I started going through the many, many shawls patterns. Closer, but no cigar. Then I found Yggdrasil. 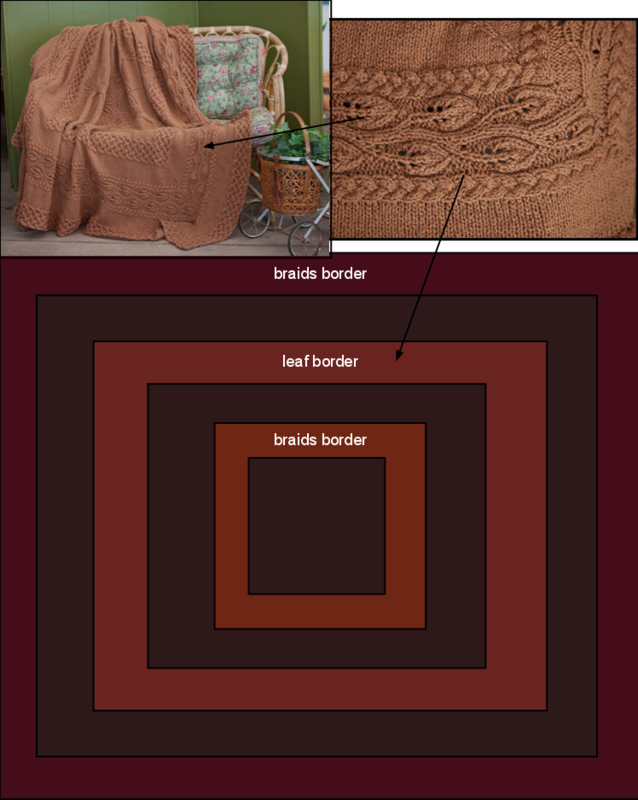 Designed by Lisa D. Jacobs, it’s a center start blanket with three different borders. The pattern first caught my eye because of the trees in the center, but later, it was the borders that were best part. It had the requested leaves, and I love symbolism of intertwining cables for weddings. I’m going to replace the trees with a plain panel, to simplify the design so I can use the four requested colors. Then came the best part, picking out the yarn. 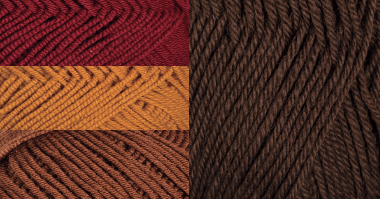 I went through several different interpretations of the colors, and finally decided on sport weight yarn, in order to shed some weight and let some light through. I even did a swatch of the braid border to see how it looked. I’m pretty sure this is my first swatch ever, I’m much more of a start knitting and rip it back and start all over again kind of knitter. The yarn should be here on Monday. I can’t wait to get started!